Hard water can be hard on both your business and you. Take the edge off with Culligan water softening systems. Culligan is the right choice for battling hard water. From doing laundry to manufacturing, our softening systems give you the quality water you need to take care of business. Through an ion exchange process, softeners remove harsh calcium, magnesium, iron, and manganese ions from your water supply. In the end, you can run your business more effectively–using less detergent, reducing hard-water build-up and saving equipment from unnecessary wear. Softeners utilizing the MVP™ Controller can be set up in multiple tank configurations – up to six tanks. These softeners can also use Culligan’s patented progressive flow process or our patented Aqua-Sensor® technology. 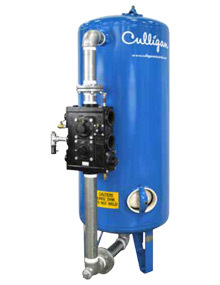 Culligan can also provide specially engineered options for your softener to handle many of your commercial/industrial needs. The High Efficiency (HE) softener with patented technology delivers improved efficiency to reduce operating costs. 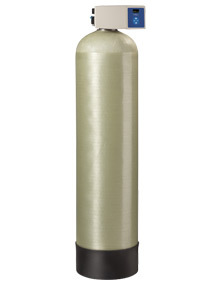 The HE softener reduces hard water contaminants*, reducing scale build-up that affect equipment performance. With the Culligan Smart Controller, available on the HE, the softener adjusts to influent water conditions and regenerates based on need. Customers can also monitor their water treatment system performance, consumable usage, and maintenance needs, at a single site or across multiple ones 24 hours a day. The High Efficiency (HE) Twin softener with patented technology delivers improved efficiency to reduce operating costs. 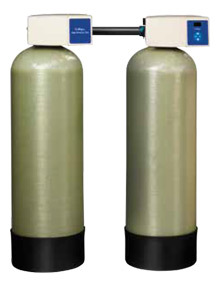 The HE Twin softener reduces hard water contaminants*, reducing scale build-up that affect equipment performance. The HE twin configuration consists of two independent mineral tanks, which provide a continuous flow of soft water 24 hours a day. With the Culligan® Smart Controller, available on the HE Twin, the softener adjusts to influent water conditions and regenerates based on need. Customers can also monitor their water treatment system performance, consumable usage, and maintenance needs, at a single site or across multiple ones 24 hours a day. 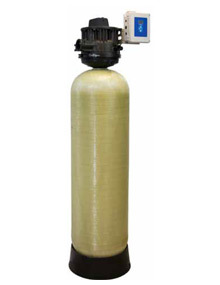 The Culligan® Top Mount (CTM) Series softener models use the latest control valve technology to offer superior flow rates and long-lasting performance for commercial and industrial applications. 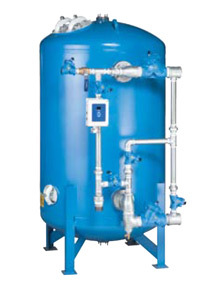 The top-mounted control minimizes the system’s footprint and is constructed of a corrosion-resistant, heavy duty plastic tested in extreme operating conditions to service all types of problem water (high chloramines, heavy iron, etc.). The CTM valve and system also carry certification for testing and passing the highest drinking water standards. The CTM includes integrated vacuum breakers and pressure relief valves to protect the system in addition to possessing an integrated flow meter for highly accurate reporting. Each CTM operates with a Culligan® Smart Controller which provides users access to the Culligan® technology platform of intercommunicating systems, remote monitoring and water and energy saving accessories.